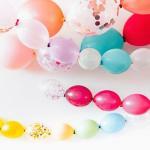 Which Balloon Stuffing Machine or Balloon Stuffer Should You Choose? Before you buy a balloon stuffing machine, read our tips on the two most used machines: the Classy Wrap and the Keepsake Stuffer. Or jump directly to our current selection of new and used machines. Looking for a truly creative way to give a gift? Do gift baskets seem like a good idea, but you feel like they are missing a certain something? Next time you are giving a gift, consider a stuffed balloon. 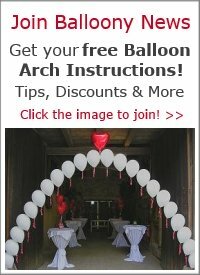 You can fill a balloon with all of the wonderful gifts you would like to present to someone. It may sound impossible, but it is the latest fad in gift giving. For those whose hearts are still set on the gift basket, you can include it all inside of the balloon! If you would like to own your own balloon stuffing machine, explore your options and choose the right machine for you. Once you become an expert at operating a stuffing machine, you can create gifts for friends and family. Some even go on to use the machine to create a line of gifts they sell. People love the ease of buying gifts pre-stuffed into balloons. If you are a small business owner and you own a shop that sells gift items, floral arrangements, candles, handmade goods, or local souvenirs, the stuffing machine may be just the thing to boost your business. Go to our current selection of new and used machines. The Classy Wrap stuffing machine works well for those who are experienced working with balloons and those who are new to the balloon industry. 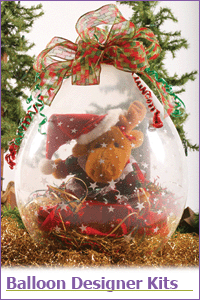 The machine features a 17x21" chamber that creates a larger space for stuffing the balloon. This extra space allows you to insert a wider variety of gifts. The motor is of industrial strength and comes in either a 110 or 220 volt power source. There are wheels on the system so you are able to trasport it to different locations. This not only allows you to move around your home, you would be able to take the stuffing maching to craft fairs and community festivals. The machine features a one year limited warranty and a two year warranty on the motor. There is a user guide and video included with your order so you will understand how to operate the machine and get great ideas for usage. Remember, Classy Wrap's balloon stuffing machine is the original. They have been stuffing balloons since 1988, and they set the industry standard for machines. After ordering your machine, you can check back into the Classy Wrap website for additional stuffing ideas. Machines and stuffing packages range in price from $800 to $900, depending on which stuffing package you choose. The Keepsake Stuffer is another option for creating unique gifts. Users of this machine report it is simple to use and very affordable. 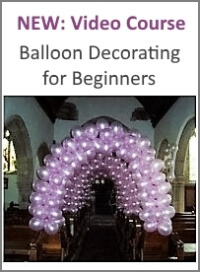 Finding an affordable machine is important for those who want to fill balloons with gifts and sell them because you need to make sure you get a lot of bang for your buck. Once you own the machine, you will still need to purchase supplies like balloons and gift inserts. Owning a quality, dependable machine means most of what you sell will be pure profit. Because it is simple to use, you will be able to work without difficulty. The Keepsake comes with all of the materials you need for getting started, and features a two year warranty. A variety of starter kits let you choose the one that offers exactly what you need. 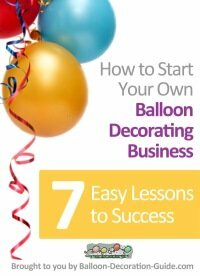 There are also materials included for learning how to use the stuffer and tips for building a balloon stuffing business. Numerous users of the Keepsake report years of fun and profit, exactly what most home business owners are looking for. The Keepsake has been perfected over the course of 20 years, using ideas submitted by those who know the machine best and use it on the regular basis. The Keepsake has a start-up stuffing package for just under $800. Purchased separately, the machine costs $800 and the accessories are worth about $200, so the start-up kit is your best bet.